Elena Nicolella, executive director of a non-profit consortium overseeing a review of the rates Rhode Island pays private providers for services to adults wlth developmental disabilities, will address the Project Sustainability Commission Thursday, April 25. Sen. Louis DiPalma, D-Middletown, the commission chairman, said Nicolella will explain the scope of the work, the timetable, and the documentation that is required under the terms of the consortium’s contract with the state Department of Behavioral Healthcare, Developmental Disabilities and Hospitals (BHDDH). Nicolella is executive director of the New England States Consortium Systems Organization (NESCSO), a non-profit collaboration involving five of the six New England states that aims to promote policies and programs that will serve the needs of the region in a cost-effective manner, according to its website. Only Maine does not belong to the regional group. DiPalma said he expects that “everything will be on the table” about Project Sustainability, the fee-for-service payment system which providers say hamstrings their ability to offer integrated services in the community as required by a 2014 federal consent decree. Project Sustainability, enacted by the General Assembly in 2011, forced providers to cut workers’ pay to minimum wage levels, wiping out established career ladders that helped bring continuity to the care of adults with developmental disabilities. In November, Mark Podrazik, the consultant who advised the state in planning Project Sustainability, told DiPalma’s commission that reimbursement rates should be reviewed every five years. Thursday’s Project Sustainability Commission meeting featuring Nicolella will begin at 2 p.m. in the Senate Lounge at the State House, according to DiPalma. NESCSO has a $1.3 million contract with BHDDH over an 18-month period to review private provider rates for developmental disabilities and behavioral healthcare service. The contract also calls on NESCSO to provide technical assistance in connection with creating out-patient services for patients of Eleanor Slater Hospital. The work in developmental disabilities represents about $700,000 of that total, according to a BHDDH spokeswoman. Tina Spears, who for 16 months has served as Rhode Island’s coordinator for state compliance with a 2014 federal civil rights consent decree affecting adults with developmental disabilities, has resigned to accept a position as executive director of the Community Provider Network of Rhode Island (CPNRI). Spears’ last day at the Executive Office of Health and Human Services will be Friday, April 12, according to EOHHS spokesman David Levesque. Spears has broad experience with issues involving developmental disabilities as a parent, advocate and policy maker, emphasizing the importance of the “consumer voice” throughout all her work, according to a statement from a CPNRI spokesman. Before joining EOHHS as the state’s consent decree coordinator – a position required by the 2014 agreement between the state and the U.S. Department of Justice - she worked as a fiscal analyst for the state Senate, specializing in human service issues. Spears also has provided direct support for families as a former government relations director of the Rhode Island Parent Information Network. CPNRI Board members “were pleased to choose Tina from a pool of highly qualified applicants due to her significant experience advocating for people with disabilities and having worked effectively inside and outside state government,” the Board president, Gloria Quinn, said in a statement. “We are excited to work with Tina as she leads CPNRI through a pivotal moment” in the transformation of the state’s privately-run service system for adults facing intellectual and developmental challenges, said Quinn. She is executive director of West Bay Residential Services, one of 22 private service agencies that make up CPNRI. Quinn said members of CPNRI “are confident she will take our association to its next level of impact,” resulting in an improved quality of life for adults with developmental disabilities in Rhode Island. Spears succeeds Donna Martin, who had served as CPNRI’s executive director from 2005 until March 1. “The state thanks Tina for her commendable service” as consent decree coordinator, “and we look forward to working with Tina in her new position,” Levesque, the EOHHS spokesman, said in a statement. Brian Gosselin, the chief strategy officer at EOHHS, will serve as the interim consent decree coordinator while the state searches for a permanent successor to Spears, Levesque said. It will be Gosselin’s second stint as interim coordinator. “The state values the critical role the consent decree coordinator plays in the success of compliance activities of state agencies” in connection to the consent decree, Levesque said. Counting Gosselin, there have been five consent decree coordinators since the agreement was signed April 8, 2014 and went into effect the following day. A now-deceased Rhode Island state employee embezzled a total of $220,602 from a checking account held in escrow for residents of the state-run group home system, the state’s Office of Internal Audit has reported. The employee, Kevin B. Ward, died Nov. 26 at age 60, a few weeks after the State Controller flagged a suspicious transaction from the client checking account Ward controlled on behalf of residents of RICLAS, or Rhode Island Community Living and Supports, a part of the Department of Behavioral Healthcare, Developmental Disabilities and Hospitals (BHDDH)..
Rhode Island State Police investigated a suspicious death of a BHDDH employee last November that was ruled a suicide, according to a statement a state police spokeswoman made to the Providence Journal Dec. 13. On April 8, the spokeswoman, Laura Meade Kirk, said State Police could make no additional comment apart from the fact that its investigation closed without criminal charges. “While no RICLAS program recipients were directly affected, this is a tragic situation for many of our state employees who knew and worked with the late Kevin Ward,” said BHDDH director Rebecca Boss after the state Office of Internal Audit completed its report April 3. Ward had been a financial manager for RICLAS from February, 2005 until his death. The state has made good on the funds belonging to the RICLAS residents and has recouped more than $70,000 from its insurance company, according to a spokeswoman for the Office of Management and Budget (OMB). The state also is exploring legal avenues to recover the rest of the money. The suspicious activity was discovered Nov. 2 by the state’s Controller, who, along with the Treasurer’s Office, was in the midst of a broader effort to tighten internal controls over the custody of state-owned checking accounts, the director of the Office of Internal Audit, Dorothy Pascale, wrote in an April 3 memo to Boss. Among other oversight and control measures, she said, new rules require two persons to sign checks and prevent those who signed the checks from cashing them. Ward had been authorized both to sign and cash checks on behalf of the State of Rhode Island. According to Pascale’s memo, Ward transferred money from the RICLAS’ residents’ account to another, long-dormant, state-owned RICLAS checking account at Bank of America, and from there, to his own Citizens Bank checking account. Ward had complete control over the Bank of America account that paid directly into his own Citizens Bank account. He even received the account statements from Bank of America. Pascale said investigators found records of 21 checks totaling $220,602 payable to Kevin B. Ward that were deposited in Ward’s Citizens Bank checking account from August, 2011 to November, 2018. The check that triggered the investigation had been made out to Ward for $4,500 on June 20, 2017 but was not spotted for more than 16 months. On August 1, 2011, the state-owned Bank of America account had a balance of $38,476, but the bank does not retain records longer than seven years, so investigators were not able to gather evidence of account activity prior to that date, Pascale said. Ward skimmed funds from a client account containing social security-related income used to help pay for the state’s cost of operating RICLAS facilities, in effect serving as contributions toward room, board, utilities and the like. ﻿An earlier version of this article incorrectly described the purpose of the client account. ﻿The incremental pay increase that Rhode Island Governor Gina Raimondo proposes for those who care for adults with developmental disabilities- about 34 to 41 cents an hour - is “much appreciated,” Tom Kane, CEO of AccessPoint RI, told the House Finance Committee recently. But “it’s not enough,” Kane added quickly. Entry-level workers making an average of $11.44 an hour, or more experienced colleagues paid an average of $12.50 an hour, are “often helping a person eat, shower, use the bathroom, or they could be helping someone learn how to drive their car,” Kane said. “It is a completely and utterly important job, but based on the funding available, it is not really valued by our state,” Kane continued. To illustrate his point, Kane told Finance Committee members that he searched for jobs on the website Indeed.com to prepare for his testimony March 13 and found a posting from a kennel seeking someone to clean cages for $14 an hour. Kane spoke from the perspective of some three dozen private service providers in Rhode Island, the core of the state’s developmental disability service system. These agencies are trying to make ends meet while dealing with high job turnover and high vacancy rates, as well as the costly overtime it requires to ensure the safety of the vulnerable people in their care. In the context of the state’s fee-for-service Medicaid reimbursement system, now in its eighth year, the concerns of the providers converge with those of a 2014 federal consent decree which spells out the civil rights of people who, through an accident of birth, spend a lifetime trying each day to rise to the challenge of diverse disabilities. And in the past year, there has been growing pressure for change, both from those overseeing the implementation of the consent decree and from an expanding chorus of advocates. In a “Week of Action” planned by the Community Provider Network of Rhode Island (CPNRI) March 26 through 28, providers and their supporters, including consumers and their families, will fan out under the State House rotunda to buttonhole individual legislators in the hours before the bell sounds shrilly at 4 p.m. calling the House and Senate to order. In the fiscal year beginning July 1, Raimondo has proposed a $6.4 million budget increase targeted for pay raises, including $3 million in state revenue and $3.4 million in federal Medicaid funds. This sum would raise the wages of direct support workers by what state officials estimate as 43 cents an hour. But the leaders of CPNRI and the Provider Council, another trade association, say that to stabilize the private system of developmental disability services, providers need about $28.5 million in state revenue, which would generate a roughly equal amount in federal Medicaid payments. “We recognize that this is a substantial amount of money, but it is a result of chronic underfunding,” said Donna Martin and Peter Quattromani in a letter to Raimondo dated Jan. 9. Until March, Martin was executive director of CPNRI. Quattromani, executive director of United Cerebral Palsy of Rhode Island, represented the Provider Council. Their reference to “chronic underfunding” alludes to “Project Sustainability,” the fee-for service funding model enacted by the General Assembly in 2011 with a $26-million budget cut. Project Sustainability was cited by the U.S. Department of Justice in 2014 as contributing to a segregated system of services that violated the integration mandate of the Americans With Disabilities Act. With the closing of the Ladd School in 1994, Rhode Island was once first in the nation in de-institutionalizing adults with developmental disabilities and its efforts to include former residents in everyday life in the community. Today, 25 years after the Ladd School was shuttered, Rhode Island is ranked 32nd among the states in its inclusion efforts by CPNRI’s national affiliate, the American Network of Community Options and Resources. Project Sustainability is currently the subject of two separate reviews, one by a special legislative commission and another by the Department of Behavioral Healthcare, Developmental Disabilities and Hospitals (BHDDH), which has hired a consultant to scrutinize both the reimbursement rates and the fee-for-service model itself. Between 2011 and 2012, Project Sustainability exacerbated a downward trend in funding for developmental disabilities that eventually leveled off but has not caught up with the pace of inflation, despite budget increases in recent years, according to a ten-year analysis done by CPNRI. The study used state budget figures and consumer price index information kept by the state Department of Labor and Training. Low wages have put Rhode Island service providers at a disadvantage in trying to recruit a variety of personal care workers like those who work with adults with developmental disabilities, experts say. CPNRI reports that about one in three workers leave a developmental disability job every year, mostly, they say, because they can’t pay their bills. One in five positions remain vacant, driving up the cost of overtime necessary to ensure the safety of the vulnerable people in care, according to the trade association. 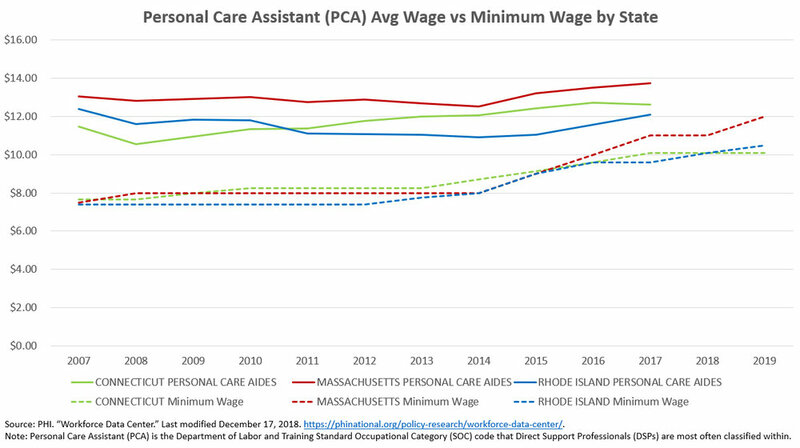 PHI National, long-term care consultants, have produced a chart comparing the earnings of personal care workers in Rhode Island, Connecticut and Massachusetts that shows Rhode Island with the lowest wages and the least buying power relative to the minimum wage. Policy experts say that basic demographic data for the nation indicates a shortage of personal care workers in the next few decades. That was one of the key messages delivered by Mary Lee Faye, executive director of the National Association of State Directors of Developmental Disabilities Services, to the Project Sustainability study commission in January. Meanwhile, the House Fiscal Office estimates that the governor’s proposed raise for front-line developmental disability workers would add add 41 cents to their average hourly wage, lifting it from $12.27 an hour to $12.68 an hour. The overall $6.4 million pay hike doesn’t include raises for supervisors or job development and support coordinators, the House Fiscal Advisor, Sharon Reynolds Ferland, has told the House Finance Committee. Providers say the state’s estimates don’t match up with actual costs. The state funds 35 percent of overhead related to employment, including mandatory costs like health and dental insurance, workers compensation insurance, payroll taxes, paid time off and other items, according to a CPNRI policy paper. In reality, providers say, these employee-related expenses cost 64 percent of wages – a point CPNRI’s Martin and the Provider Council’s Quattromani made in their Jan. 9 letter to Raimondo. Providers fill the gap between the available state and federal Medicaid funding and the actual costs of employee-related overhead by reducing the amount of the wage increase passed along to workers. Kane, in his testimony, said that for the lowest-paid direct care workers, Raimondo’s planned pay increase will not even cover the cost of a separate proposal she has made to increase the state’s minimum wage for all workers from $10.50 to $11.10. In the last few years, individuals with developmental disabilities, their families, and providers have gained legislative advocates, most prominently Sen. Louis DiPalma, D-Middletown, who is the first vice-president of the Senate Finance Committee. DiPalma, as chairman of the special legislative commission studying Project Sustainability, convinced a consultant involved in developing that fee-for-service model to return to Rhode Island and testify about his work last November. Mark Podrazik, a principal in the Arizona-based Burns & Associates, made it clear that Project Sustainability was shaped in a frantic effort to control costs. Podrazik testified that some of Burn’s key recommendations were ignored, including a proposed base pay of $13.97 an hour for direct care workers that would increase within a year or two to $15 an hour. That was in 2011. Today, eight years later, advocates are still chasing that $15-hour wage. About a month ago, DiPalma and Rep. Evan Shanley, D-Warwick, introduced companion bills to raise direct care workers’ pay to $15 an hour by July 1, 2020. The chairman of the Senate Finance Committee, William D. Conley, was among the co-sponsors of DiPalma’s bill. 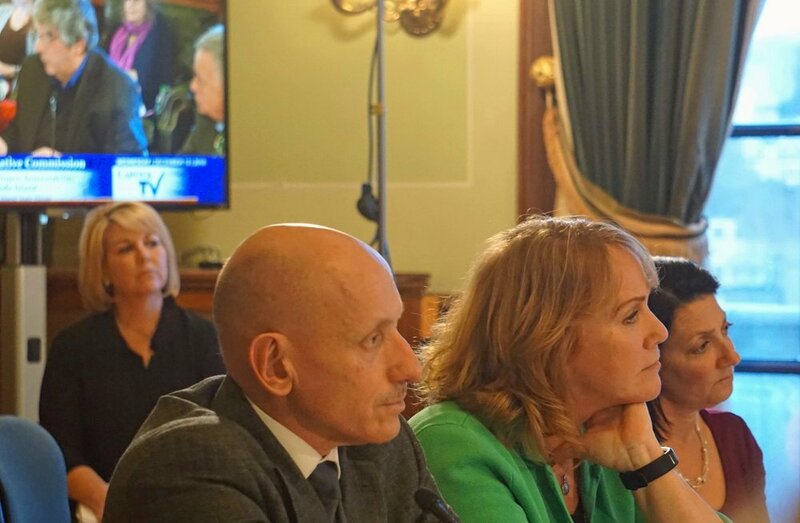 More recently, DiPalma introduced a second bill that would require all private human service agencies under contract with the state to pay their employees at least 44 percent above the minimum wage at any given time. Both Conley and Senate President Dominick Ruggerio have signed on to this bill as co-sponsors. A year ago at this time, Raimondo had proposed an $18.4 million cut in developmental disability services for reasons that were never spelled out in public. Raimondo rejected warnings of(BHDDH) that the move would result in waiting lists for services or cuts in programming. The proposed cut appeared to be unacceptable to an independent court monitor who continues to oversee implementation of the 2014 consent decree. The agreement calls for integrated, community-based services that are inherently more costly than the facility-based system embedded in Project Sustainability. In May, 2018, the monitor, Charles Moseley, obtained written assurances from Raimondo that she would continue to support the work of the consent decree, which in the moment meant restoring the almost all the $18-million cut. In the courtroom, the judge who periodically oversees the status of the consent decree, John j. McConnell, Jr. of U.S. District Court, has indicated his willingness to issue orders to ensure that specific goals of the consent decree are met. At the same time, he said he couldn’t order the state to spend a certain amount to achieve them. Meanwhile, Moseley has continued to keep abreast of budget developments. In February he wrote McConnell, saying Raimondo’s proposed budget “appears adequate” to cover a deficit in the current fiscal year and fund the consent decree in the budget beginning July 1. Without mentioning how the Governor may have calculated developmental disability budgets in the past, Moseley made a point of saying he has received assurances that the latest figures are based on real-time data about the projected use of developmental disability services. The state’s lawyer, Marc DeSisto, has assured him that “the Governor’s recommended budget accepts the most up-to-date projections for financing the current costs of the system to ensure no changes for individuals with DD and continued commitment to achieving Consent Decree outcomes,” Moseley wrote the judge. · $500,000 in other priorities. $2.7 million for increased costs in providing services. $6.4 million for the wage increase to direct care staff. Those totals are offset by about $1.3 million in increased expectations for savings in residential costs and another million in savings from a reform initiative that didn’t start on time. Moseley said all his figures were rounded off. Deep in the background, BHDDH is quietly gearing up for a top-to-bottom analysis of Project Sustainability itself – a move applauded by DiPalma, providers, families and consumers. The lack of flexibility in services provided by Project Sustainability also has drawn the criticism of the court monitor. Providers have said the funding formula does not allow them to plan on services for longer than three months at a time and makes it difficult for them to base their services in the community. For example, Project Sustainability assigns staffing ratios according to the degree to which a person may be unable to do basic things independently, but doesn’t take into account the resources that person might need to get to a job – or hockey game – in the community. Project Sustainability originally made it difficult for individuals to hold jobs in the community by providing work-related services only at the expense of other kinds of daytime supports. In 2017, to comply with the work goals of the consent decree, BHDDH launched an add-on program of performance payments for providers for placing clients in community-based employment and for meeting job-retention goals. DiPalma has said it is imperative that BHDDH finish a new rate model for private developmental disability services in time for Raimondo to introduce her budget to the General Assembly next January. To satisfy the consent decree, the new design would have to focus on helping individuals lead regular lives in the community. Such a model would inevitably demand a greater financial commitment from the state and pose a new test of lawmakers’ values. The special legislative commission studying Project Sustainability, Rhode Island’s fee-for-service funding model for adult developmental disability services, will resume deliberations March 28, according to its chairman, Sen. Louis DiPalma, D-Middletown. The commission last met in January, hearing testimony on best practices from one national expert and another from Vermont, where the system appears to be closely aligned with the needs and preferences of individuals. DiPalma said he has spent the intervening weeks meeting one-on-one with commission members who represent the state and various segments of the developmental disability community to jump-start their analysis of expert testimony the commission has received since last fall. By the time of the March 28 meeting, DiPalma said, he expects commission members to be ready to make well-developed recommendations that identify concrete goals and the strategies for achieving them. DiPalma said the vision of the commission is to have a more individualized, or “person-centered” system within the next five years. He said he expects it will take two meetings to fully air the members’ recommendations on how to get there. A review of Project Sustainability’s rates and the fee-for-service model itself would have been the commission’s first recommendation, if the state had not already launched that project, DiPalma said. “The reimbursement model is the foundation and is pivotal to everything that is done,” he said. Project Sustainability, enacted by the General Assembly in 2011, did not reduce services or create waiting lists but was implemented on the backs of private providers and their employees, DiPalma said. Project Sustainability also has been criticized by the U.S. Department of Justice, which found that it incentivized segregated services for adults with developmental disabilities, in violation of the integration mandate of the Americans with Disabilities Act. That finding and others resulted in a 2014 consent decree, which authorizes broad federal oversight of the state’s efforts to transform its system to a network of community-based, individualized services that put the consumer first. The state Department of Behavioral Healthcare, Developmental Disabilities and Hospitals (BHDDH) recently hired the non-profit New England States Consortium Systems Organization as a consultant in reviewing the fee-for-service model and its rates. DiPalma has said it is imperative that the review be completed in time for Governor Gina Raimondo to submit her budget proposal to the General Assembly in January, 2020. He said he believes the commission can have an oversight role on the implementation of any changes in the rate model that BHDDH recommends. DiPalma said the commission meeting on Thursday, March 28, will run from 2-4 p.m. in the Senate Lounge at the State House. Workers at Seven Hills Rhode Island who care for about 250 adults with developmental disabilities will receive an across-the-board raise of 25 cents an hour retroactive to last June 23, the expiration date of their previous labor agreement. The contract contains a wage re-opener in its second and final year. The mediated settlement was ratified last month by some 200 members of the United Nurses and Allied Professionals (UNAP), according to Jeanne Jose, a union business representative. Any increase that comes from Governor Gina Raimondo’s proposed budget for the fiscal year beginning July 1 would be over and above the raises negotiated in mediation, Jose said. In January, the union membership authorized its executive committee to call a strike, if necessary, after labor-management talks had collapsed the previous month. According to Jose, the union had originally sought a 5 percent wage increase across the board. That percentage works out to about 55 cents an hour for those who had been making $10.94 an hour – more than half the membership. By comparison, the minimum wage in Rhode Island is currently $10.50 an hour. Jose said 39 per-diem employees, who are on call but receive no benefits, were paid $12.36 an hour under the terms of the previous contract. Jose said 12 behavioral assistants, who must have bachelor’s degrees, made $15.36 an hour. Talks fell apart in December when management offered a choice of an across-the-board increase of 13 cents an hour, or a 25-cent increase for those making $10.94 an hour and no raise for higher-paid union members. Jose said “people were happy” with the wage settlement, taking into account Rhode Island’s chronic underfunding of developmental disability services, which has resulted in low wages and high turnover. UNAP is one of several labor organizations affiliated with the AFL-CIO which support companion bills which have been introduced in the General Assembly to create a $15-hour minimum wage for direct care workers. In addition to the raises, Jose said, the union won a five-cent increase in mileage reimbursement for employees who must use their personal vehicles on the job – from 40 cents to 45 cents an hour – and other changes in contract language. Employees will receive adequate training or re-training before they are tested or re-tested on protocols for dispensing medication to clients. Management will provide adequate staffing to ensure the health and safety of workers and clients on an as-needed basis; for example, when two people are needed, instead of one, to help a heavy person using a wheelchair to get in and out of a car for a visit to the doctor’s. Seven Hills, based in Woonsocket, is a private agency that provides residential and day services for adults with developmental disabilities in northern Rhode Island. The state of Rhode Island has hired NESCSO, the non-profit New England States Consortium Systems Organization, to review the fee-for-service Medicaid funding structure used to reimburse private providers of services for adults with developmental disabilities since 2011. The current fee-for-service reimbursement model, called Project Sustainability, incentivizes facility-based, segregated services, according to findings of the U.S. Department of Justice which led to the consent decree. Project Sustainability, accompanied by $26 million in budget cuts effective July 1, 2011, resulted in drastic wage reductions among private service providers, but raising worker pay alone will not fix the problem. Project Sustainability also was set up to fund staffing for groups of people engaged in activities in one place but didn’t provide for the degree of supervision or transportation needed to individualize services in the community on a broad scale, as required by the Olmstead decision of the U.S. Supreme Court. That decision re-affirmed the integration mandate of the ADA. In sheltered settings, for example, the ratio of direct care workers to clients might have been set in the funding formula at 1 to 10, but additional staffing would be needed to support that many people in the community, according to language in the contract between NESCSO and BHDDH. The contract says supplemental payments have been used to “address the deficiency in the payment rates.” These supplemental payments “are an increasing portion of overall payments, reflecting the inadequacy of the current rates,” the contract said. It says BHDDDH is seeking technical assistance from NESCSO in reviewing the best strategies for achieving an integrated, individualized system of services that complies with both the consent decree and the Medicaid Home and Community-Based Services Final Rule. The consent decree affects daytime services, with an emphasis on competitive employment for adults with developmental disabilities. The Home and Community-Based Final Rule (HCBS) is Medicaid’s interpretation of what the ADA’s integration mandate should look like in practice. Unlike the consent decree, it addresses residential services, calling for options that enable clients to live in less restrictive settings than group homes. BHDDH also asks NESCSO to help it develop an “optimal and balanced system of services and payments” that will promote individually-designed programs according to the preferences and direction of the consumers themselves. The consent decree also calls for a separation between funding, case management, and delivery of services. Currently, BHDDH is responsible for both funding and case management. The total contract, designed for an 18-month period, will cost nearly $1,366,000 in federal and state Medicaid funds. That sum includes the entire developmental disabilities project, a rate review for behavioral healthcare services, and technical assistance at Eleanor Slater Hospital in connection with developing outpatient services for patients. A BHDDH spokeswoman said Feb. 28 that the amount to be spent in the current fiscal year on the developmental disabilities portion of the project, originally set at about $400,000, will be scaled back to $200,000, because the work did not begin as anticipated in January. The fiscal year ends June 30. There is $500,000 budgeted for the developmental disabilities work in the fiscal year beginning July 1. BHDDH director Rebecca Boss said the department “Is pleased to partner” with NESCSO. “NESCSO offers BHDDH the expertise of the other New England states and brings a team with background in specialized population-based needs and solutions, financial expertise, analytical depth and knowledge of federal regulation, resources and compliance requirements,” she said. NESCSO is a non-profit collaboration among the health and human services agencies of Rhode Island, Massachusetts, Connecticut, New Hampshire and Vermont and the University of Massachusetts Medical School. Through shared information and expertise, it works to promote policies and programs that will serve the needs of New England states in a cost-effective manner, according to its website. State Sen. Louis DiPalma, D-Middletown, the chairman of special legislative commission studying Project Sustainability, said the review of the funding model will be “pivotal” in shaping the future of the private system of developmental disability services. “I give the department (BHDDH) credit” for moving forward with the project, DiPalma said. NESCSO, led by a former Rhode Island Medicaid director, Elena Nicolella, is held in high regard, he said. At the same time, DiPalma said it is imperative that the review of the funding structure begin immediately and be completed in time for Governor Gina Raimondo to submit her budget proposal to the General Assembly for the fiscal year beginning July 1, 2020. Expert testimony already given to the Project Sustainability commission made it clear that a review of the funding structure was long overdue, DiPalma said. With BHDDH already taking that step, the commission might still say that a rate review should be conducted every five years, as recommended by healthcare consultant Mark Podrazik. Podrazik is a principal in Burns & Associates, which was hired to help BHDDH develop Project Sustainability. Testifying in November, he made it clear that the state ignored some of the firm’s key recommendations, instead shaping the funding structure through a frenzy to control costs. Rhode Island State Senator Louis DiPalma and Rep. Evan Shanley say they are introducing companion bills that would set a minimum wage of $15 an hour in two years for those who provide services to adults with developmental disabilities. The bills were announced at a Feb. 27 State House press conference, hosted by George Nee, president of the Rhode Island AFL-CIO, to kick off a union-backed campaign called “Demanding Dignity” to prioritize a living wage for caregivers in highly demanding jobs who are paid less than fast food workers or retail clerks. Both Nee and DiPalma said there’s not a single legislator who doesn’t believe that direct care workers are underpaid and have been underpaid for years. The bills would be costly – an estimated $25 million in state revenue over two years, according to DiPalma. Nee said the “Demanding Dignity” campaign aims to make the $15 rate a priority for legislators. The best way to accomplish that aim, Nee said, is to tell and retell the personal stories that convey the impact of the current wage structure on people’s lives. For him, Nee said, the biggest take-away from the event was the story of Nancy Tumidajski, who works at the ARC of Blackstone Valley in Pawtucket. She said she was hired in 1991 at $10.25 an hour, then double the minimum wage. Today, 28 years later, she makes about two dollars more than that, she said. By comparison, the minimum wage is currently $10.50 an hour. The average entry-level wage for direct care workers is $11.36 an hour, according to a trade association representing service providers. Governor Gina Raimondo has proposed raises that would add about 44 cents an hour to workers’ paychecks at a total cost of $3 million in state revenue, that would be roughly doubled by the federal match in the Medicaid program. Tumidajski said her duties have included resuscitating a client who stopped breathing, performing the Heimlich maneuver – multiple times – on a client prone to choking, and last year, providing hospice care in clients’ own homes when a flu epidemic caused a widespread shortage of beds in the healthcare system. Everyone on her team volunteered for hospice duty, she said. Noelle Siravo of Pawtucket, the mother of a 47 year-old man with significant disabilities, said he is able to live in an in-law apartment in her home only because of the “wonderful” people who provide him with skillful support and care. In addition to everything else, Siravo said, direct care workers often spend some of their own money on the people they support, because many adults with developmental disabilities don’t have any families and still want an occasional treat. Tumidajski said one in three workers at the ARC of Blackstone Valley leave their jobs in a year, and the agency has trouble recruiting replacements at pay that runs between $11 and $12 an hour. The ARC currently has 25 vacancies, she said. The high turnover and vacancy rate threatens the quality of services and safety of clients, Tumidajski said. For the same work, Massachusetts already pays $15 an hour for direct care, and Connecticut has adopted a caregiver minimum wage of $14.75 an hour. Jeff Perinetti, business representative for the International Association of Machinists and Aerospace Workers, the direct care workers his union represents took a 10 percent pay cut when Project Sustainability was enacted and have regained only six percent of it. DiPalma said the meager wages paid to someone like Tumidajski are unconscionable. The current rate model, introduced in 2011 with a $26 million budget cut, is built on the backs of workers, DiPalma said. Established under the title “Project Sustainability, the fee-for-service model brought wholesale wage reductions without scaling back the state’s expectation for developmental disability services from private agencies or establishing a waiting list for services, he said. DiPalma, D-Middletown, is first of the Senate Finance Committee and chairs a special legislative commission that is studying the impact of Project Sustainability. The experience of helping others inspired his father, Paul Shanley, than 19, to become a police officer in Warwick, where he served 26 years, Shanley said. His mother, Mary Madden eventually became President of the Trudeau Center. She has recently been named interim director the Commuity Provider Network of Rhode Island, a trade association of private provider agencies. Both Shanley and DiPalma have previously filed legislation to increase wages for direct care workers. in addition to the machinists’ union, the Demand Dignity campaign is backed by the Service Employees International Union, District 1199; the American Federation of Teachers and Health Professionals, and the United Nurses and Allied Professionals. “We have an opportunity, with this legislation and this campaign, to determine whether or not Rhode Island , our government, is going to be moving up to meeting that moral test of what government should be,” Nee said. For too long, people working in the field of developmental disabilities have “too often been relegated to the shadows of our community and our government, and we’re here to say that that should not be happening any longer,” he said. Unionized workers supporting about 250 adults with developmental disabilities have indicated they may strike at Seven Hills Rhode Island over wages that lag significantly below those in neighboring states. No deadline has been set for a walkout. The possibility of a strike by about 180 members of the United Nurses and Allied Professionals (UNAP) was disclosed in a letter that the management of Seven Hills sent to families Jan. 15. Talks between labor and management continue, according to a source with knowledge of the negotiations. An official of the state Department of Behavioral Healthcare, Developmental Disabilities and Hospitals (BHDDH) indicated that the union must give a 10-day notice of any walkout. He said BHDDH contracts with Seven Hills to support about 250 persons with developmental disabilities in a variety of residential settings, as well as supported employment services and non-work daytime activities. “Our day services program will be limited to 24 residential participants,” Cabral said. Seven Hills has 76 residential clients, according to the latest data compiled by the state. Efforts to reach Cabral or a UNAP spokesperson were not immediately successful. Average entry-level wages for direct care workers in Rhode Island are $11.36 an hour, according to the most recent figure released by the Community Provider Network of Rhode Island, a trade association representing two thirds of the private providers of developmental disability services in the state. Governor Gina Raimondo has proposed an incremental raise – estimated by BHDDH at an average of about 44 cents an hour – effective July 1. In Connecticut, entry-level direct care workers must be paid a minimum of $14.75 houirly. The Connecticut legislature approved the raises last May, even though it had not yet acted on the state budget, to avert a strike that had been planned at that time by the Service Employees’ International Union (SEIU). The wage hikes became effective three weeks ago, on Jan. 1. SEIU also has negotiated a $15 hourly minimum wage with Massachusetts for direct care workers in that state that went into effect July 1, 2018. Despite repeated and concerted advocacy, “our state representatives continue to place funding for individuals with developmental disabilities low on their priority list,”he said. The General Assembly’s inaction has significantly “compromised the sustainability of the current system,” which, Cabral said, has been weakened by below-market compensation and high staff turnover. “Organizations such as ours have taken several painful measures throughout the past decade in an effort to ensure our fiscal sustainability, including liquidating assets and significantly reducing our administrative resources,” Cabral wrote. Seven Hills Rhode Island offers a variety of services for children, families and adults, with offices in Cranston and Woonsocket. Services for adults with developmental disabilities are based in Woonsocket, covering northern Rhode Island. When it comes to reforming service systems for those with developmental disabilities, policy makers often succumb to a fundamentally flawed approach, one expert told a Rhode Island Senate study commission Jan. 8. Policy makers tend to “think about people in groups, but not think about people as people,” said William Ashe at a meeting of the commission, looking into how Rhode Island supports private service providers. Ashe has helped the state of Vermont evolve toward a system that puts the needs of the individual first. He also has become familiar with Rhode Island as a consultant to the federal court monitor overseeing implementation of a 2014 consent decree requiring the state to transform its segregated service model to a system that is integrated with the community. Asked his opinion of Rhode Island system, Ashe said that what he’s seen leads him to believe it is a “barrier” to people’s ability to live more “independent and connected lives.” Ashe said his opinion is his own, not that of the monitor. His comment,, however, happened to coincide with findings of the U.S. Department of Justice in 2014, which said Rhode Island’s funding rules incentivized segregation. Ashe is executive director of Upper Valley Services, which serves a single county in Vermont that is about half the size of Rhode Island. He addressed the commission along with Mary Lee Fay, executive director of the National Association of State Directors of Developmental Disabilities Services (NASDDDS). Fay presented a broad swath of statistics on nationwide trends, but she nevertheless arrived at basically the same place as Ashe, talking about building services around relationships between persons with disabilities, their families and other important people in their lives. How To Apply Best Practices To Rhode Island? The session raised questions about how members of the commission will process the information in coming weeks and apply it to Rhode Island. For private providers, Rhode Island has a fee-for-service system authorizing payments to providers only three months at a time, for a fixed menu of supports, requiring documentation of each worker’s daytime interaction with each client in 15-minute increments. There is also a parallel state-run system of group homes that is exempt from the rules applied to private providers, even though they are all paid through the federal-state Medicaid program. With all its emphasis on making private providers accountable for each minute of service, Rhode Island’s funding model has no definition or measure of what the services are supposed to accomplish in terms of stabilizing or improving people’s lives. Successful outcomes were a recurring theme among the best practices described by Ashe and Fay. After the meeting, the commission chairman, Sen. Louis DiPalma, D-Middletown, said the speakers offered a lot of “food for thought”. At the same time, he said, he wants to know more about the context of the successes in Vermont. There, the predominant housing option is shared living in private homes – even for individuals who have challenging behavior - and services are tailored, or “bundled,” for a year’s time into individualized funding authorizations based on a person’s needs and goals. Vermont’s system has been decades in the making, and DiPalma said he wants to know more about how the state got to where it is today. He said he expects commission members to begin airing their thoughts about the future of Rhode Island’s developmental disability system at the next meeting, yet to be scheduled, in late January. Fay said that all the states are facing the same pressures, driven in part by the aging of the large population born after World War II. Driven up the federal Medicaid and Medicare expenses, both entitlement programs with no cap. Illustrating her point, Fay said that the fastest segment of the population is the elderly aged 85 and older. About 70 percent of that group needs some kind of assistance, she said. Meanwhile, the expansion of Medicare and Medicaid, combined with last year’s tax cut, will lead to continuing debate in Congress about the future of these safety-net programs, Fay said. At the same time, demographic projections point to a shortage of direct care workers. The group most likely to go into direct care work – women aged 18 to 55 – remains flat in demographic projections 20 years into the future. Low wages are an issue with the current workforce, but Fay said the demographics indicate there just will not be enough workers to go around in the future. States “won’t be able to buy” their way out of the labor shortage, which will get much worse in the years to come, she said. Instead, she said, states will have to “think” their way out of the crisis with a new approach; less reliance on 24-hour care and more supports built around families – and employment. In Vermont, that approach seems to have paid off more often than not, according to Ashe. Ashe’s agency is one of ten organizations in Vermont which have broad responsibilities within a designated area for serving adults with developmental disabilities, although there are several other specialized providers without geographic boundaries. To receive immediate funding, individuals must meet high-priority standards as defined by law. They involve such factors as health and safety considerations or the need for care while both parents work outside the home. In 2017, there were 238 people statewide on a waiting list for non-priority services, Ashe said. Ashe’s agency, Upper Valley Services, covers Orange County, an area half the size of Rhode Island with a total population of 28,000, mostly spread out in towns and villages with populations of fewer than 1,500. There is one traffic light in the entire county, Ashe said. Ashe said all service plans are individually designed and reviewed by a board which includes representatives of providers and consumers as well as state officials. The board’s recommendation is submitted to the state, which makes the final decision on services and funding. Vermont, like most other states, allocates funding on an annual basis. Rhode Island is the only state which funds services quarterly, Fay said. And unlike Vermont, Rhode Island allocates funding first and expects providers to come up with an individual service plan that doesn’t exceed the budget. Ashe credits the Vermont legislature for making a practice of anticipating an increasing caseload and funding to meet its needs, rather than forcing providers to dilute the supports for people they already serve to cover the new arrivals. In 2017, Ashe said, 390 people benefited from the legislature’s new-caseload funding practice, he said. Vermont’s designation of responsible agencies means they cannot reject anyone in their geographic area who meets the eligibility criteria for priority funding. As a one-stop shop for everyone, Ashe’s agency provides a broad range of services to about 200 individuals in its jurisdiction. The starting wage at Upper Valley Services is $14 an hour and the annual turnover is 13 percent, significantly lower than the statewide turnover rate of about 23 to 25 percent. If Ashe must serve a particularly challenging client, he said, he has the authority to increase a worker’s hourly rate. Instead of $14, he said, he might pay $18. Rhode Island providers pay an average entry wage of $11.36 an hour, according to a trade association, although some workers new on the job make minimum wage, which is $10.50 an hour. Job turnover in Rhode Island averages about 33 percent each year, although the rate varies among individual providers. Nationwide, the average state-level rate of turnover is 46 percent, according to Fay. In Vermont, the average cost of services per person is $60,037, Ashe said, slightly higher than in Rhode Island. In a statewide population of just over 600,000, Vermont supports about 4,500 people with intellectual or developmental disabilities, about the same number as in Rhode Island, with a population of slightly more than one million. Individuals have control over their service plans and may move money from one category to another, manage part or all of their services themselves, or let the agency be the service manager. Among the clients of Upper Valley Services, 48 percent have jobs, averaging 8 hours a week, Ashe said. Nationwide, the employment rate for adults with developmental disabilities is 19 percent, according to Ashe and Fay. Rhode Island’s rate is above the national average, but an exact figure was not immediately available. Fay emphasized that employment is important not only for income, but also because a job provides autonomy and leads to connections with other people. Shared living is one of five housing options in Vermont that, taken together, offer a broad range of supervision, up to and including intermediate care with a maximum of six residents in one facility. The annual stipend for shared living is about $32,500. Ashe said he expects one responsible adult in the family to stay at home and not take an outside job. Shared living should be viewed as part of a relationship, Fay said, not “foster care” or a “placement” that has nothing to do with the participants’ connections to each other. Ashe said the core of his operations is a network of case managers, each one with a caseload of about 14 people, who are on call 24 hours a day. Case managers may arrange respite care for shared living providers or provide additional in-home supports, among a broad range of activities that include diffusing a crisis experienced by someone on their caseload. His agency focuses on “re-building the support system to help that person stay in the community,” Ashe said. In Vermont in 2017, there were five psychiatric admissions among adults with developmental disabilities, according to figures provided by Ashe. Responding to a question from Rebecca Boss, Director of the Rhode Island Department of Behavioral Health Care, Developmental Disabilities and Hospitals, Ashe described the history of a crisis team begun in 1991 and crisis training for direct care staff in the field that has helped keep the number of psychiatric hospitalizations low. Sometimes, families accept more services than they need, because they fear they will not be able to get them in the future, Fay said. 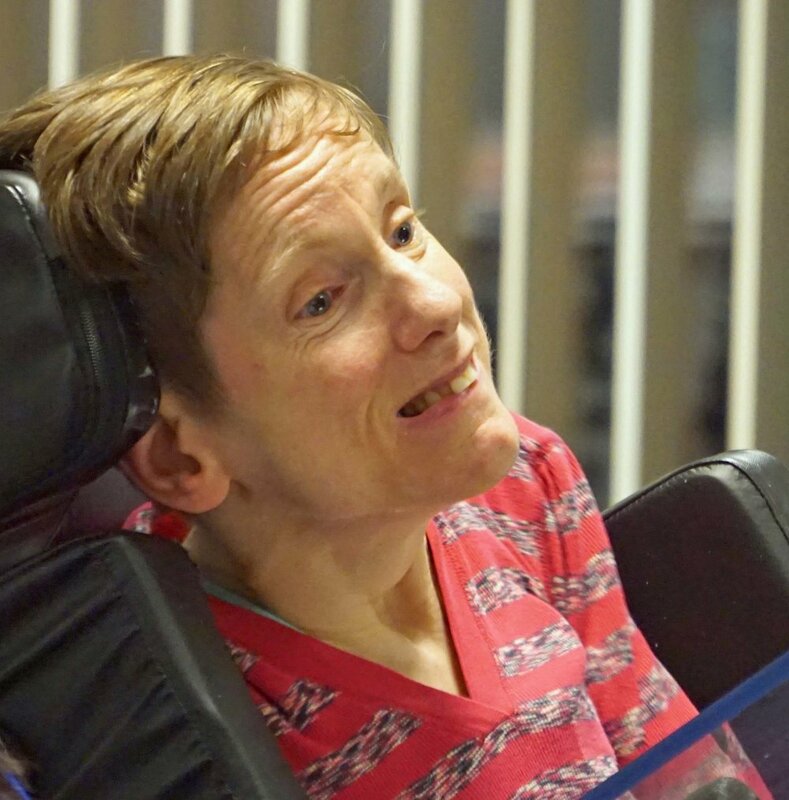 “I have visited states where people say, ‘I’ve taken a service not because I need it, but because if I say no, I’m afraid I won’t get access to anything in the future,’ “ Fay said. States have to build trust in families, she said. Systems have to be designed to create an underlying confidence among families that the support will be there as the family’s needs change, she said. Fay said “there isn’t a system out there that has it down perfectly,” but “states that do it well succeed because they have partnerships” with their communities. To see an outline of Fay’s full presentation, click here. To view a video of the commission meeting, click here. Look for an icon labeled with the date 1-8-19 and a title that reads “Special Legislative Study Commission To Evaluate Project Sustainability.” Note that some browsers may need Flash to play the video. Two experts with broad experience in developmental disabilities will provide their perspectives on best practices Tuesday, Jan. 8 at the next meeting of the Rhode Island Senate commission studying “Project Sustainability,” the state’s much-criticized fee-for-service reimbursement system for private service providers. Mary Lee Fay is executive director of the National Association of State Directors of Developmental Disabilities Services (NASDDDS), based in Alexandria, VA.
William Ashe helped develop Vermont’s current “bundled” payment system. So-called “bundled” payments cover a defined set of services for a specific period of time. The system allows for individualized funding around each person’s unique needs, according to a description of the program Ashe wrote for the Vermont legislature in 2016. He is also involved in current efforts to update the Vermont payment system. Ashe has experience in state government in Massachusetts and as a longtime private provider of developmental disability services in Vermont. He has collaborated with the independent federal court monitor who is overseeing Rhode Island’s compliance with a 2014 federal consent decree intended to desegregate the state’s developmental disability service. Ashe has accompanied the monitor, Charles Moseley, on site visits and has written reports that have been incorporated into Moseley’s recommendations to the U.S. District Court. Fay worked for much of her career for the state of Oregon, becoming director of developmental disabilities, a post she held for 11 years before she moved to NASDDDS in 2012. She is credited with leading the way for Oregon to become a leader in high quality services that allow adults with developmental disabilities more control over their lives. For her first three years at NASDDDS, Fay focused on working with states to engage adults with developmental disabilities with their communities. She was named executive director in 2015. Both Ashe and Fay were recommended to the commission by Moseley, the monitor in the consent decree case. understand approaches other states are using and lessons learned by their successes and challenges. The Jan. 8 Commission meeting will be held from 2 to 4 p.m. in the Senate Lounge at the State House. A Rhode Island Senate study commission spent nearly two hours Dec. 12 laying out a catalog of strengths and weaknesses in Rhode Island’s system for helping people with developmental disabilities. 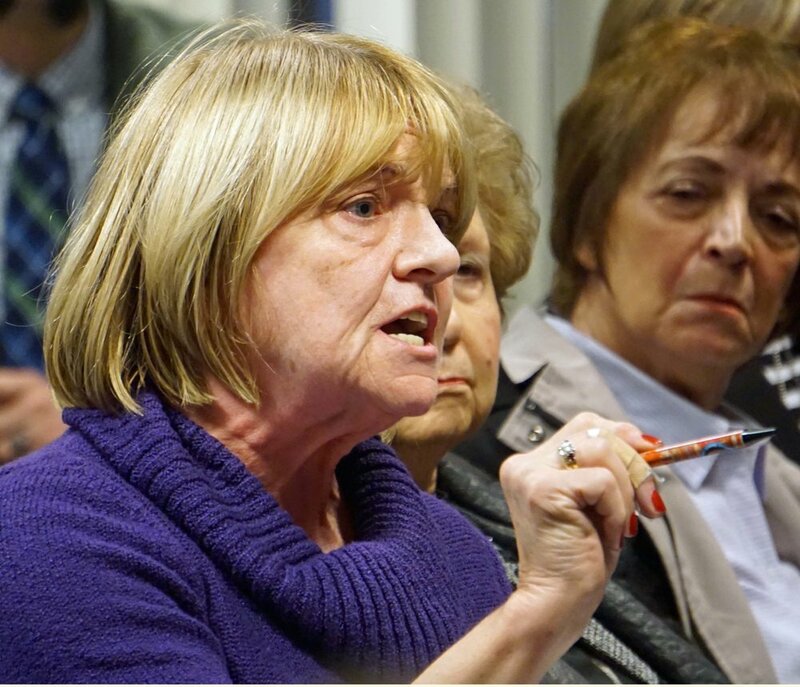 But in the end, the personal stories of two mothers, Amy Kelly of Smithfield and Martha Costa of Portsmouth, focused the commission’s attention on the crises now unfolding for at least several families who are at their wits end. For Amy Kelly, that means that every single service provider in Rhode Island – about three dozen - has turned away her 21 year-old daughter, who is autistic, has behavioral problems, and functions in many ways as a kindergartener. “So now what do I do?” Kelly asked in a letter to the commission chairman, Sen. Louis DiPalma, D-Middletown. Kelly is a widow, and works fulltime. Her daughter, Kayla, was asked to leave the Trudeau Center in Warwick because of injuries to staff. For a month now, Kayla has been at home all the time and her problematic behaviors have intensified, Kelly wrote. “She is out of her routine, asking for “friends,” “yellow bus,” “trip,” and other favorite things and experiences that she misses..
Kelly has been forced to choose “self-directed” services, meaning that she must find her own workers,“which is pretty much impossible,” she wrote to DiPalma. And the Home Based Therapeutic Services that helped Kayla outside of school hours while she was still in special education are no longer available. Martha Costa agreed. She attended the Commission hearing at the State House on behalf of her own family and five others in Portsmouth who have become friends as their children have faced behavioral challenges growing up and have aged out of the school system into purview of the state Division of Developmental Disabilities (DDD). The 21 year-old daughter of a friend of Costa’s had meltowns after her mother – her primary caregiver and the one who organized her services - died in September. The woman’s daughter, who has multiple disabilities, was hospitalized because there was “nowhere for her to go,” Costa said. The young woman was “restrained, medically and physically. It’s heartbreaking,” Costa said. “It’s lucky you have good parents who are helping these kids, but you know, we’re all getting older and we’re not going to be able to,” she said. The aging of parents, who are often primary care givers, is a broad concern among families, according to survey results. Kerri Zanchi, the state’s Director of Developmental Disabilities, thanked Costa for coming forward. One of the biggest challenges in residential services, Zanchi said, is a dearth of specialized homes for individuals with behavioral and other complex needs, as well as a lack of therapists and other clinicians to give them the proper attention. Zanchi referred to the division’s Eligibility by 17 policy, which aims to give families, schools, and the adult system plenty of time to plan a smooth transition. Zanchi continued her response to Costa. “We certainly recognize every day the crises we have to manage” in order to support the individuals involved and to try to grow the system’s capacity, she said. And there are committed providers who are willing to help the state, but who also want to do that with the right staffing that will keep all individuals safe, Zanchi said. “We are all hands on deck. I know it probably doesn’t feel like enough,” she said. Costa agreed. “ I understand what you’ve been doing and I know that everyone has been working hard . Still, it’s not enough,” she said. Gloria Quinn, executive director of West Bay Residential Services, said her agency works very well with the state as a partner in exceptional situations, but it is extremely difficult as long as there there is a paucity of established expertise in the community that is accessible to the developmental disabilities providers. “Very often we are creating something new, which takes an enormous amount of time,” Quinn said, and the funding is not enough. Most importantly, when the agency helps someone with increased needs it runs the risk of jeopardizing supports for other people, particularly in a residential setting, she said. Peter Quattromani, President and CEO of United Cerebral Palsy Rhode Island, pointed to the low wages for direct care staff that frustrate all involved; those who love the work but can’t pay the bills, employers who can’t fill jobs, and consumers and families who can’t find suitable services. “It’s an incredibly difficult job” , he said, and attracting staff is likewise very difficult, given the low wages. 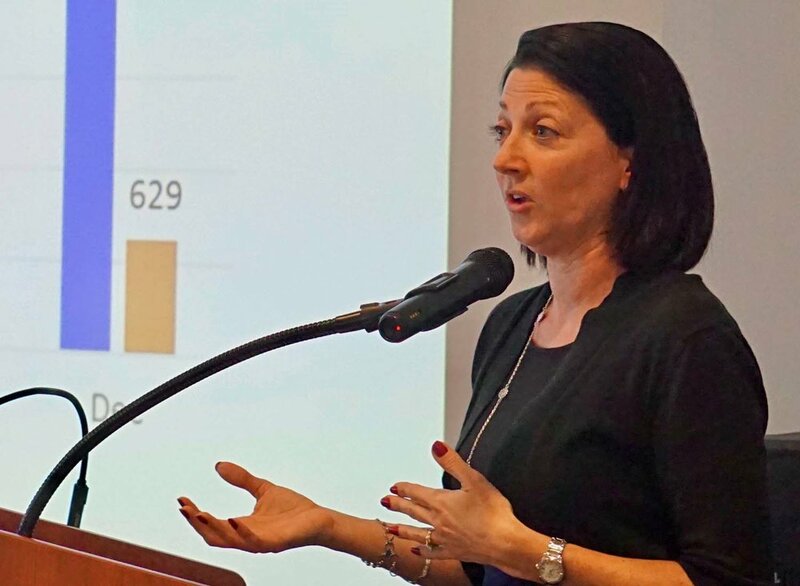 Commission member Kelly Donovan, who herself receives services from DDD, had sparked the conversation by wondering aloud why those with serious behavioral problems have difficulty finding appropriate support. She said she agreed with Quattromani and Costa, and she added another factor that she believes contributes to the problem: a societal stigma against those with a broad range of mental illnesses who exhibit aggressive behavior. During the last month, commission members, representing the executive branch of government, private providers, and consumers and their families, were asked to complete a survey cataloging the strengths and weaknesses of the existing Medicaid fee-for-service system, called Project Sustainability. The commission plans to use the results of the survey, named the “Current State Assessment,” to seek advice from outside experts and further the group’s deliberations in the future, according to a statement issued at DiPalma’s behest. Directly or indirectly, a lack of adequate funding in various contexts permeated three summaries of the survey results, each one presented by a representative of each of the three segments of the commission. Transportation, for example, has become a bigger problem now that there is a greater emphasis on community-based services, which require more than the two daily trips usually allowed by individual funding authorizations. Families also cited difficulties of non-English speakers in getting information and services. an increase in staff for quality management, implementation of a federal civil rights consent decree and for Medicaid-mandated Home and Community Based Services, as well as assistance in maximizing the existing budget. Raimondo is to present adjustments for the current budget, as well as her proposal for the next fiscal cycle, during the third week of January. Read the summaries presented at the meeting. For the state’s assessment, click here. For consumer and advocates’ comments, click here. For service providers’ comments, click here. The Rhode Island Senate’s Project Sustainability Commission, which is evaluating the state’s fee-for-service Medicaid payment system for private agencies serving adults with developmental disabilities, will meet Wednesday, Dec. 12 at 3 p.m. in the Senate Lounge at the State House. Three members of the commission will summarize the views of all 19 panel participants regarding the planning, programming, and funding of the current system, as well as the family or consumer experience, according to the commission chairman, Sen. Louis DiPalma, D-Middletown. State officials, private providers, families, and consumers of services funded through the state Department of Behavioral Healthcare, Developmental Disabilities and Hospitals are all represented on the commission. The meeting is open to the public, and a portion of the session will be reserved for comments from the audience, DiPalma said. For the second consecutive year, the director of the Rhode Island Department of Behavioral Healthcare, Developmental Disabilities and Hospitals (BHDDH) has raised the possibility that adults with developmental disabilities might face waiting periods for services if the department cannot resolve a projected $9,.4 million deficit by next June. Most of that estimated $9.4 million shortfall - $7.6 million – occurs in the Division of Developmental Disabilities (DDD). 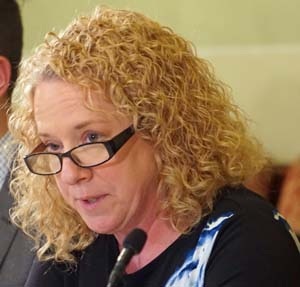 Waiting lists and reductions in reimbursement rates to private providers are among alternatives proposed by BHDDH director Rebecca Boss in a corrective action plan for dealing with the shortage in state revenue. Private organizations do most of the front-line work with adults facing intellectual and developmental challenges. Any state agency running over budget must submit a corrective action plan to the state budget office. Seven other agencies are in the same position as BHDDH. $7.6 million in supplemental funding to close the gap in payments to private service providers during the current fiscal year. $5.1 million for the fiscal year that begins July 1, 2019. The combined $12.7 million request does not reflect any wage increases for direct care workers in private agencies, a BHDDH spokeswoman said. According to a trade association, workers receive an average of $11.36 an hour - less than the $12 hourly pay offered at the Target store on the other side of the Massachusetts state line in Seekonk during Thanksgiving week. The consultant involved in developing the existing fee-for-service rate structure seven years ago said recently that it’s “past time” for an overhaul of the reimbursements. Both House and Senate leaders say they support the idea of wage hikes for front-line workers. Governor Gina Raimondo has not responded to email requests from Developmental Disability News for comment on recent public remarks of the consultant, Mark Podrazik, President of Burns & Associates. Raimondo is due to present her budget proposal to the General Assembly the third week in January. She must consider many factors, including a projected $41.9 million deficit in overall state spending and recent revenue estimates running about $5.4 million below the previous projections, made last May. A lot can happen between now, the start of the budget planning cycle, and the end of June, when General Assembly adopts final figures to close out one fiscal year and launch a new budget on July 1. And when it comes to spending on developmental disabilities, the conversation has broadened in the last several years to include the ever-increasing demands for reform imposed by a 2014 federal civil rights consent decree between the state and the U.S. Department of Justice. Before the budget was finalized in the last session of the General Assembly, the independent federal court monitor for the consent decree had sought and obtained written assurances from Raimondo that the state would support mandated systemic changes in services as Rhode Island moves toward community-based, integrated supports of adults with developmental disabilities. What the state’s commitment to developmental disabilities looks like in the current budget is level funding. Last January, Raimondo proposed a cut of $18.4 million to payments for private service providers, but after better-than-expected revenue estimates in May, pressure from constituents, and Moseley’s request for assurances, Raimondo reversed her position and the General Assembly approved a status quo budget. Now Boss says that level funding will not be enough to meet expenses, primarily because of an increasing caseload and rising average costs per person. These two trends can be traced back to compliance with the consent decree. In the last fiscal year, which ended June 30, DDD spent a total of $228.3 million in federal-state Medicaid funds, including $111.1 million in state revenue, for payments to private agencies that provide most of the developmental disability services, Boss wrote to the state Budget Office in October. The current budget authorizes an expenditure of $229.4 million for those Medicaid payments, with $107.5 from state revenue and the rest from the federal government. $620,000 – about $400,000 more than anticipated – to pay for an increase in wages for home health aides and licensed practical nurses (LPNs) who serve adults with developmental disabilities in their own homes. Boss said the state Medicaid office had set a slightly higher rate for the LPNs than the department had anticipated. Together, these two factors mean that there is $1 million less in the current budget than there was in the last one for actual services to adults with developmental disabilities, Boss wrote in a report to state Budget Office on spending for the first quarter of the fiscal year. At the same time, DDD estimates its overall caseload will increase about 1.5 percent during the current budget cycle, based on trends over the last two years. That increase will cost an additional $1.1 million from state revenue,, according to Boss. In addition, nearly 900 persons are slated for re-evaluation of their needs during the current fiscal year, with interviewers using a revised assessment that has been resulting in generally higher per-person costs since it was adopted in November, 2016, Boss said. The use of the revised assessment, the Supports Intensity Scale – A, is expected to add about $900,000 from state revenue to service costs, Boss wrote in the first-quarter spending report, submitted in October. Moreover, DDD expects to spend all $6.8 million allocated by the General Assembly for a supported employment program that pays private providers performance bonuses for job placement and retention., The first allocation, in the fiscal year that began July 1, 2016, was underutilized. Boss said she did not favor a wait list for services as a corrective action plan because it would cause hardship and make DDD unable to continue complying with the 2014 federal consent decree. Rate reductions to private service providers also would make it impossible to comply with the consent decree and would destabilize the entire system of care, Boss said. Boss said she does favor another option, consolidation of the state-run group home system known at Rhode Island Community Living and Supports (RICLAS.) DDD is working on closing one state-run group home and relocating existing staff to save on overtime costs, Boss said. Changes in group home configuration toward smaller units more accessible to the community are being required anyway by the Medicaid Home and Community Based Final Rule. The consultant for Burns & Associates, Mark Podrazik, recommended in 2011 that the state gradually eliminate RICLAS to more more equitably fund private providers, who were facing severe cuts in payments that resulted in dramatically lower wages and made it difficult for employers to fill job vacancies, problems that persists today. In testimony Nov. 13 before a special Senate commission, Podrazik said he was told in 2011 that the state did not want to address RICLAS out of concern about a fight from unions. Over the last several years, however, the size of the RICLAS caseload has declined through attrition. For example, at the start of 2016, there were 210 persons in RICLAS homes, state officials said at the time. Six weeks ago, in mid-October, the RICLAS caseload had shrunk to 126, according to state records.